书籍简介: In his ?nal book and his ?rst full-length original title since Full House in 1996, the eminent paleontologist Stephen Jay Gould offers a surprising and nuanced study of the complex relationship between our two great ways of knowing: science and the humanities, twin realms of knowledge that have been divided against each other for far too long. In building his case, Gould shows why the common assumption of an inescapable conflict between science and the humanities is false, mounts a spirited rebuttal to the ideas that his intellectual rival E. O. Wilson set forth in his book Consilience, and explains why the pursuit of knowledge must always operate upon the bedrock of nature’s randomness. 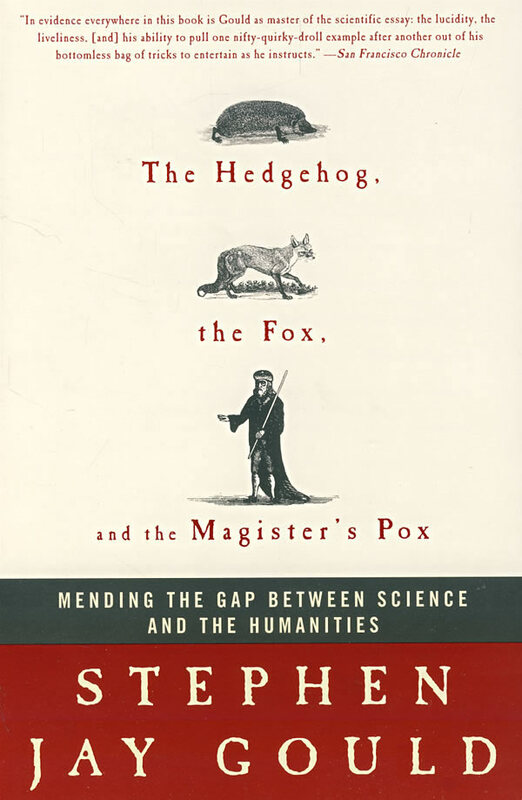 The Hedgehog, the Fox, and the Magister’s Pox is a controversial discourse, rich with facts and observations gathered by one of the most erudite minds of our time.